The Aldori swordlords of Brevoy are among the deadliest and most feared fighters of the Inner Sea. They have spent long years mastering the Aldori dueling sword, against both other dueling swords and all manner of other weaponry. Their speed and reflexes weave a net of impenetrable steel around them, from which they strike and harry their unfortunate opponents. This variant focuses on avoiding damage and disarming foes; swordlords prefer wearing light or no armor, trusting their skill with their blades for protection. The following benefits only apply when an Aldori Swordlord is using an Aldori dueling sword and carrying nothing in his other hand. At 3rd level, when an Aldori swordlord makes a full attack with an Aldori dueling sword, he gains a +1 bonus to AC against melee attacks until the beginning of his next turn. This bonus increases by +1 every four levels after 3rd. This ability replaces Armor Training 1 and 4. At 5th level, when an Aldori swordlord successfully disarms an opponent using an Aldori dueling sword, the swordlord also deals normal damage to the target, but without the normal Strength bonus to damage. This ability replaces Weapon Training 1. At 7th level, an Aldori swordlord can throw up a blazing wall of steel to defend himself. When fighting defensively as a full-round action with an Aldori dueling sword, the swordlord’s penalties on all attacks in a round are reduced by 2, and the dodge bonus to AC is increased by 2 for the same round. This ability replaces Armor Training 2. At 11th level, an Aldori swordlord can make an attack of opportunity as an immediate action against an opponent who hits the swordlord with a melee attack, so long as the attacking creature is within the swordlord’s reach. This ability replaces Armor Training 3. 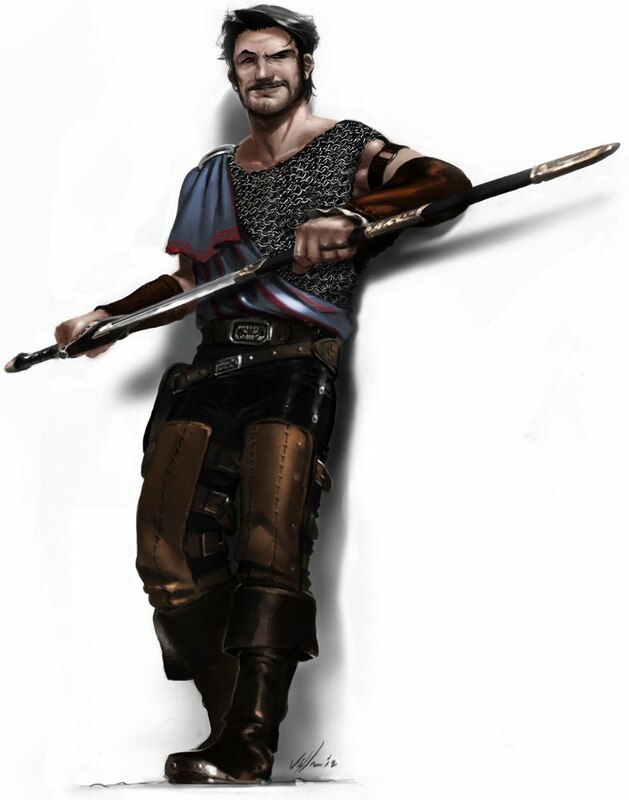 Suggested Feats: Aldori Dueling Mastery, Combat Expertise, Dazzling Display, Exotic Weapon Proficiency (Aldori dueling sword), Improved Disarm, Improved Feint, Improved Initiative, Lunge, Quick Draw, Weapon Finesse, Weapon Focus (Aldori dueling sword), Weapon Specialization (Aldori dueling sword).